Offering you a complete choice of products which include 250 gb samsung 850 evo sata iii drive, samsung 850 evo sata iii 2.5 inch drive, samsung ssd 850 pro 2.5 drive, 120gb samsung 850 evo sata iii drive, 250gb samsung 850 evo sata iii 2.5 inch drive and 1000gb samsung ssd 850 pro 2.5 drive. As a trust worthy organization of this domain, we are committed to offer our clients a superior quality assortment of 250 GB Samsung 850 EVO SATA III Drive. Within the short time period, we are engaged in presenting an excellent grade of Samsung 850 EVO SATA III 2.5 inch Drive. We are successfully ranked amongst the trustworthy entities offering a wide range of Samsung SSD 850 PRO 2.5 Drive. 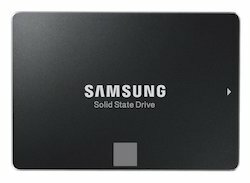 Since our commencement, our firm is engaged to introduce a premium quality array of 120GB Samsung 850 EVO SATA III Drive. Owing to the expertise of our team of experienced professionals, we are able to introduce an exclusive range of 250GB Samsung 850 EVO SATA III 2.5 inch Drive. 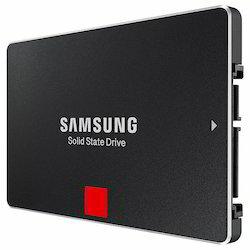 As an affluent name of this domain, we hold expertise in presenting high quality 1000GB Samsung SSD 850 PRO 2.5 Drive.